Here's another awesome cover reveal from Spencer Hill Press. This cover was also created by Vic Caswell of Sketcher Girl Studios. The colors remind me of jewels, but the cover still gives the overall impression of fae...otherworldly. 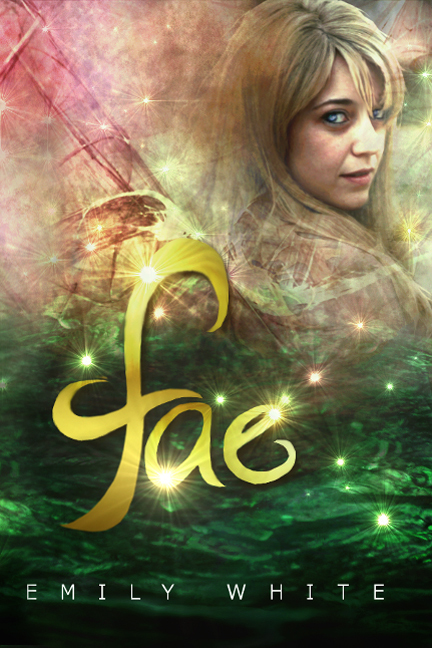 Check it out and let me know what you think about FAE's cover! Emily White lives in NY, wedged between two of the Great Lakes and a few feet of snow and ice. She's spent most of her life running away from the cold, and even spent a year in Iraq, but now contents herself with writing her characters into warm, exotic places in faraway galaxies. When not tapping away at her computer keys, she can be found reading, reading, and reading some more. And when she's not doing that, she's usually playing video games with her husband, peek-a-boo with her kids, or walking through her garden, wondering why the bugs insist on eating all her vegetables. Emily's debut YA Sci-fi novel, ELEMENTAL, will was published by Spencer Hill Press in 2012. Thank you so much for sharing my cover!! !